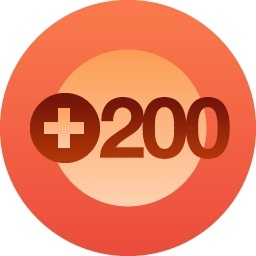 We’ve reached another milestone… We now have over 200 FOLLOWERS, hence the reason WordPress has given us this awesome orange +200 button! Thank you…and thanks for your support! Thank you for supporting/following me.